A learning environment: In the peaceful Lower-Rhine countryside in the middle of a golf course, you will find an entire conference world within 49 acres of private grounds, yet still centrally connected. The Mercure Tagungs- und Landhotel Krefeld is a place to learn, where there is space and freedom to think, where meal times are not a factor, but market-fresh cuisine and good wine are, where taking a break helps to achieve success, where creative activities are as much a given as bright learning spaces. Discover the history of velvet and silk in Krefeld, as well as the historical old city and the museums, or immerse yourself in the city's lively music scene. Sporting attractions include the racecourse and ice hockey with the Krefeld Penguins. 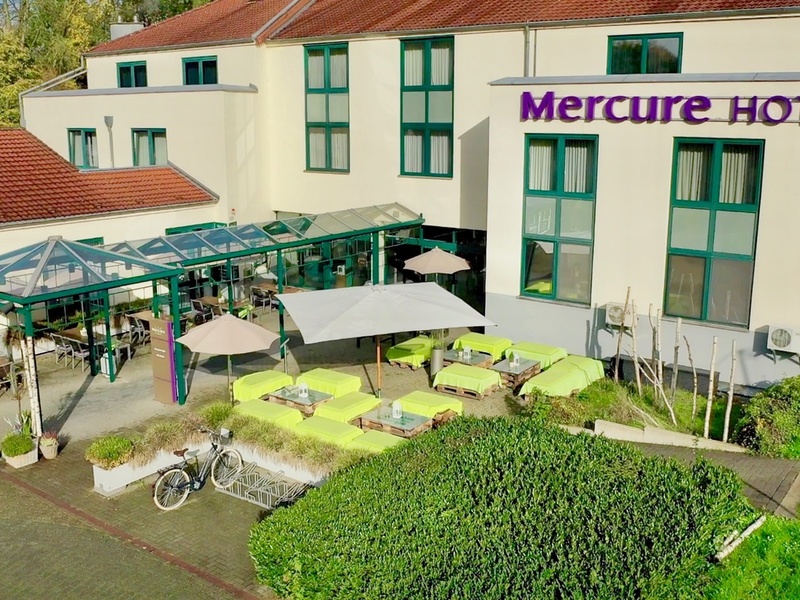 Our 4-star superior Mercure Tagungs- & Landhotel Krefeld offers 155 comfortable and air-conditioned rooms, including three specially adapted rooms for guests with reduced mobility as well as spacious family rooms, some of which have a balcony. Two children up to 12 may stay in your room free of charge. All rooms have free WIFI and high-speed Internet. Your pets are also welcome at the Mercure Tagungs- & Landhotel Krefeld. MAKE THE MOMENT LAST! WE CONTINUALLY OFFER NEW CULINARY CREATIONS THAT ARE MADE USING FRESH, HIGH-QUALITY PRODUCE FROM LOCAL MARKETS. That gut feeling of being in the Rhineland. The best things to come from the Lower Rhine region, and of course from its waters: Fresh, regional cuisine that always has new, international twists. The Rhineland is not just a place, it's a feeling.